As of today, you will see apps listed when doing searches on your Android device through either Google.com or by using your search button. 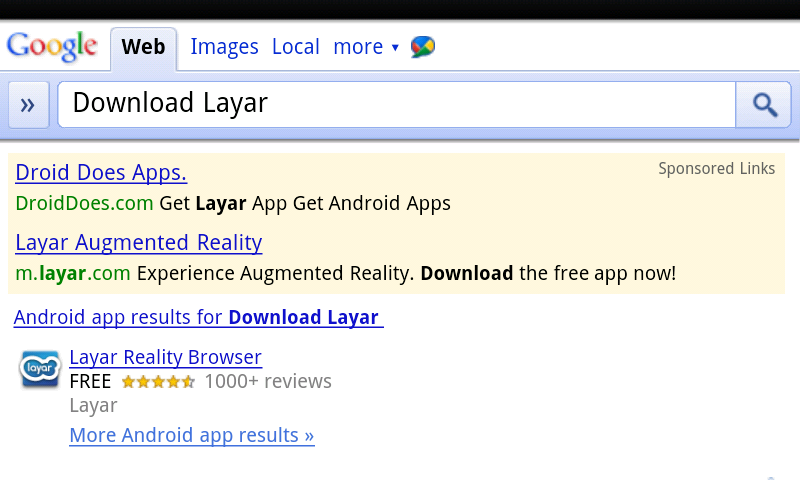 Once the results are displayed, like you see above, a simple tap takes you straight to the Android Market for download. It might not be a full browser version of the market, but this is almost easier. So much for Double Twist’s new announcement which Matt had a blast with earlier. Yikes.